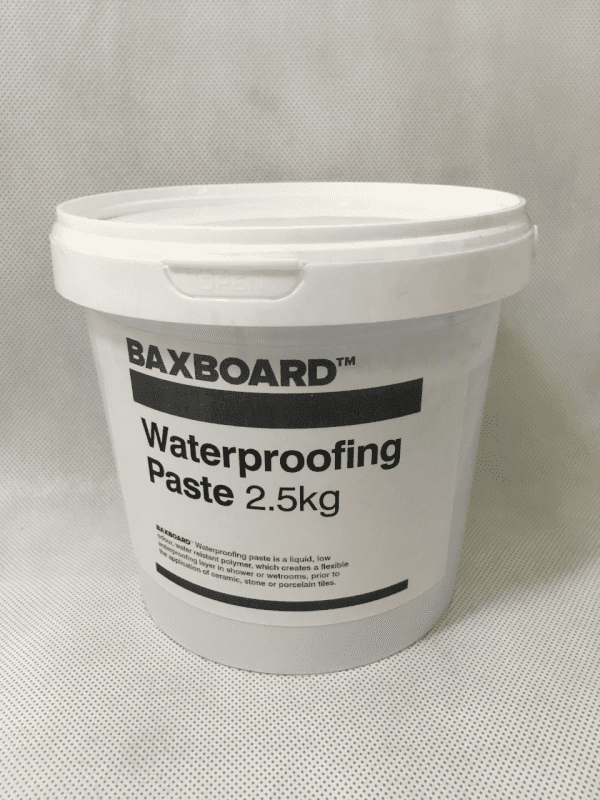 Baxboard™ Waterproofing paste is a liquid, low odour, water resistant polymer, which creates a flexible waterproofing layer in shower or wetrooms, prior to the application of ceramic, stone or porcelain tiles. The surface must be solid, and free of oil, grease or dust. Small cracks should be filled with a cementitious filler, or acrylic sealant. Solvent based sealants must not be used for filling gaps. If necessary, a coat of Baxboard Primer should be used to seal the surface. Stir paste before use. Apply using a brush or roller. 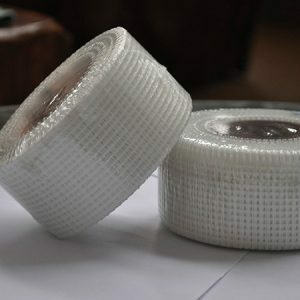 Can be applied in 1 or 2 coats, to give a dry coat thickness of 0.5mm. When using a single coat, ensure the whole area is fully covered. Drying time is approximately 3 hours, depending on temperature and humidity. 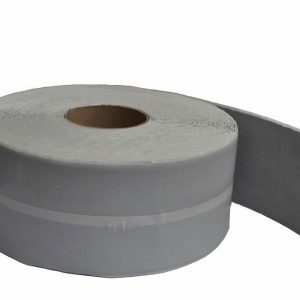 For sealing wetroom shower bases, the paste is used in conjunction with Baxboard Tape and preformed corners (see separate fixing instructions). For interior use only. All tiling work to be carried our in accordance with BS 5385 and sealant applied in accordance with BS 8000:16. Must be protected form frost, and applied at temperatures above 5°C. Can be stored for up to 12 months before use. 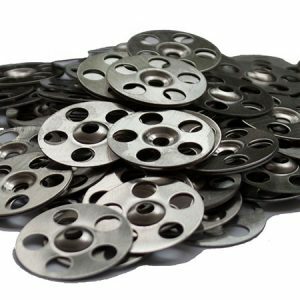 The product is classified as non hazardous. 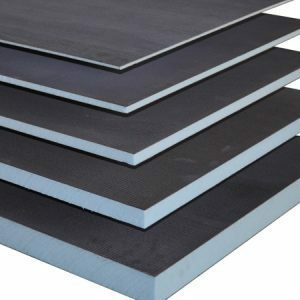 It fulfils the highest VOC classification, EC1 plus. It is advised to wear protective gloves and goggles. If paste comes in contact with the skin, wash off with water. Clean tools with water. Keep out of the reach of children.